"We pay month to month and I can't emphasize enough what a big deal this is. When you don't lock people into a contract, you have to provide compelling reasons to stay, which Sifu does in spades!" 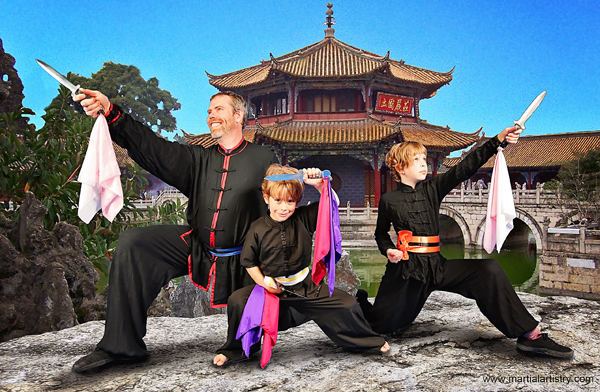 What could be more fun than martial arts classes with your entire family? Our flexible schedule allows you to fit your kung fu training into your busy life! 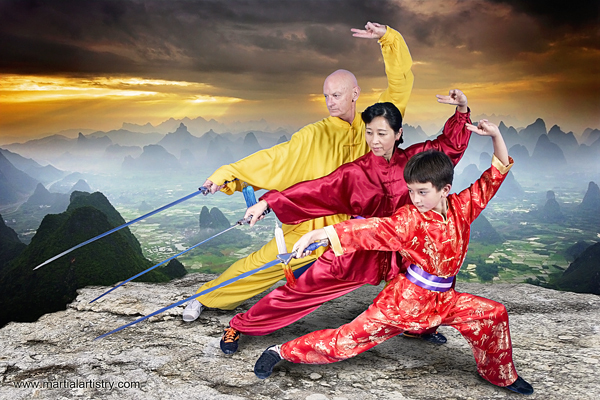 "My wife, 8-year old son, and I all do wushu at this great school. The instruction is the best in the state, the environment is excellent for kids and adults, and the facilities are wonderful." $79. per month (8 martial arts classes), after our $50 New Student Special which includes the first month of wushu lessons and a FREE uniform. All with no contracts, registration, membership or even testing fees(try asking any other school what their black belt testing fee is and you'll see why that's important). Payment is always on a month-by-month basis. We don’t lock people into contracts – we don’t have to! We know you’re going to enjoy training with us! "Students receive individualized instruction, allowing each of us to learn at our own pace. 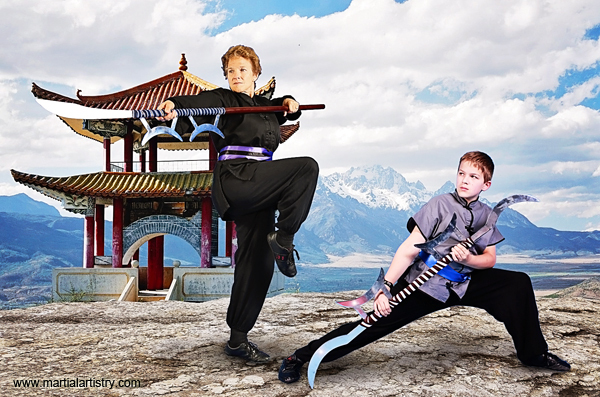 This is significant because it allows students of varying ages, martial arts experience, physical ability, and motivation to progress according to our current capabilities,"
Families love the one-on-one instruction and completely independent pace of Albuquerque Martial Artistry Shaolin Kung Fu & Chinese Wushu. 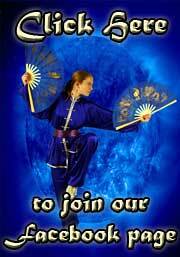 Our large martial arts facility and unique individual progression program means we specialize in serving everyone. Remember, the family that kicks together, sticks together. If your whole family trains together, you'll inspire one another to keep up your healthful training regimen. Also, families get a discount on their tuition. Call for details. All classes include a warm up, lots of one on one training time with our instructors and a stretching period. The classes can be very demanding, so it is best, if possible, to leave a full day in between classes to allow your large muscle groups to recover.